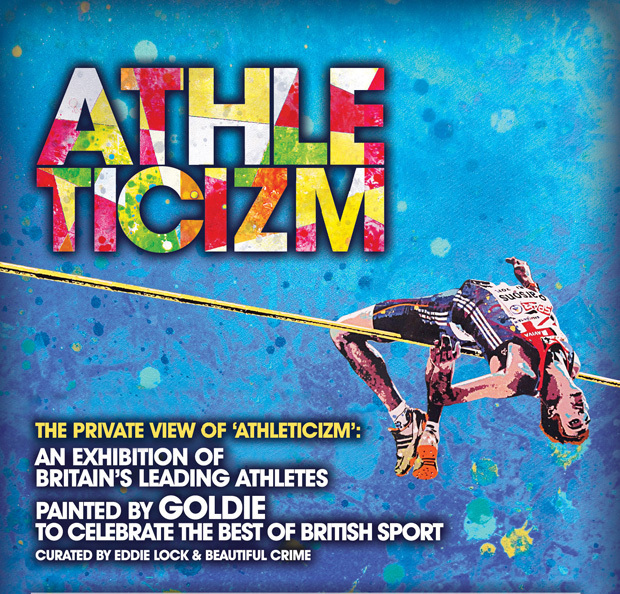 Eddie Lock and Beautiful Crime present Athleticizm - a 'Celebration of the Best of British Sport'. 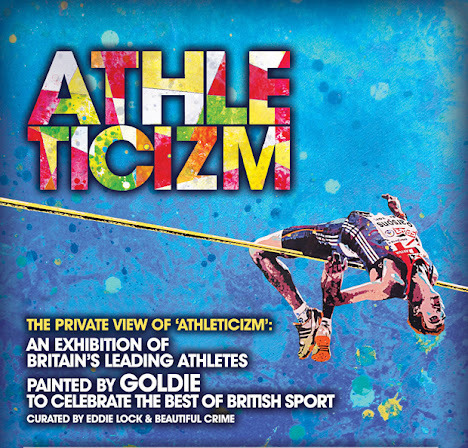 This collection of unique interpretations of some of Team GB athletes' energy and power are portrayed in Goldie's signature style. The 12 images to feature in the show will portray each of Great Britain's Olympic hopefuls in a new fusion of street art and sport away from traditional photography or portraiture, showing them in a new light that Goldie describes as depicting the 'rawness of their talent'. The athletes include such household names as Olympic cycling gold medalist Victoria Pendleton 2009 World Champion triple-jumper Phillips Idowu MBE, World Champion Heptathlete Jessica Ennis MBE, three-time World Champion track cyclist Shanaze Reade, leading field athlete and nine-time National Champion Goldie Sayers, Commonwealth bronze medallist weightlifter Zoe Smith and high-jump hopeful Tom Parsons.